Another one from that case, the first Bordeaux primeur I bought in my life, together with my brother. Back then, a very big deal, a big investment for young Economics students and I had to convince my brother that this was THE thing to do with our tiny savings. 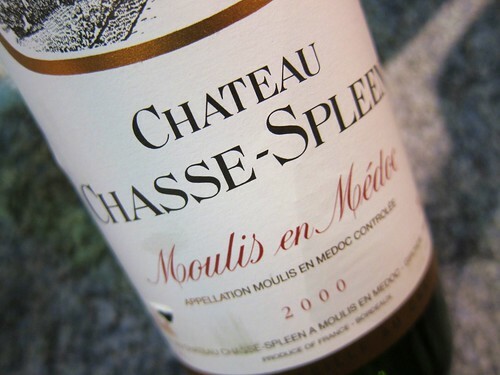 It worked out… And since the case of Chasse-Spleen 2000 was delivered in 2003, we opened a bottle from time to time, as this is one of the purposes of a case of Bordeaux: follow the evolution of the wine and slowly await its prime. Once every 1 or 2 years is a good rhythm for this ritual and this last Christmas it was again time. I guess the next bottle should be opened at Christmas 2014, not earlier! When will I learn to be patient? 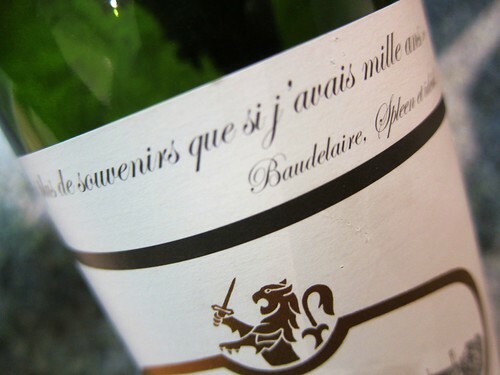 Aimé Guibert Albariño Am Berg Anthony Hammond Bodegas Palacios Remondo Celler Vall Lach Chardonnay Sinner Château Gigognan Château Giscours Cuvée Victor Denia Estate Rüdesheim Forster Kirchenstück Francoise Bedel Freinsheim Gevrey-Chambertin "La Justice" Gordon Ramsay Grande Cuvée Blanc K Vintners Mission Chinese Food Palmengarten Patras Paul Bara Riesling Alte Reben Seigneurs D'Aiguilhe Simon Says Szigeti vietnamese food Vin de Pays d'Oc Weingut Dr. Bürklin-Wolf Weingut Heymann-Löwenstein Weingut J. & H.A. Strub Wong Ah Wah's "Famous Chicken Wing"